Exclusive Special Edition Digital Downloads are available for sale directly at the online store. Charlie Albright's commercial debut record, Vivace, has sold thousands of copies worldwide. The compilation includes classical masterworks from Haydn's iconic Sonata in E-flat Major to the complete Chopin Etudes, Op. 25...all through the lens of Albright's unique finesse and artistry. The easy-listening piece Touch the Peace, composed by Charlie Albright, has been met with critical acclaim. The Special Edition Digital Download of Vivace including his Amazing Grace Improvisation is available exclusively here at the online store. 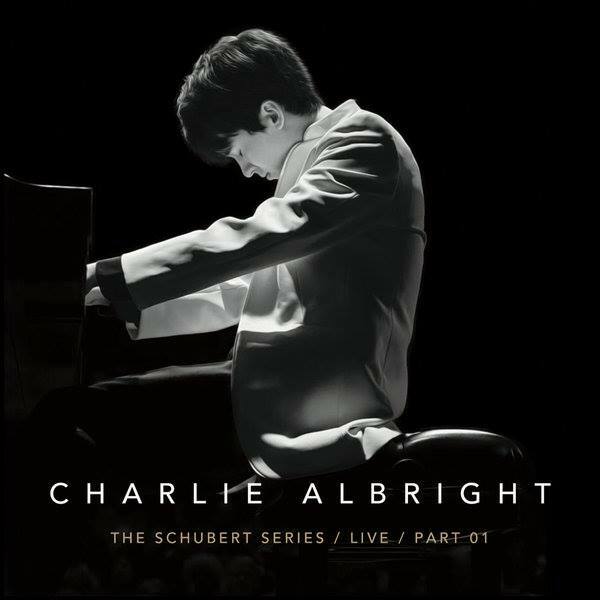 Recorded live in concert in Boston, MA, The Schubert Series: Part 1 is the first of a three-part series of all-Schubert recordings. This compilation includes the Schubert Impromptus, Op. 90, the Schubert Sonata in B-Flat Major, as well as a live improvisation by Charlie Albright. The Special Edition Digital Download of The Schubert Series: Part 1 including his Amazing Grace Improvisation is available exclusively here at the online store.